A Former Chief Electrical Engineer of the Electricity Corporation of Nigeria (ECN), Mr Clement Onyemelukwe has identified what he described as hordes of technical deficiencies as the destruction of Nigeria’s power sector. The former ECN boss told THISDAY from his United States base at the weekend that the technical problems of power sector in Nigeria started shortly after the National Electric Power Authority (NEPA) was inaugurated in 1976. He argued that electricity requires funds but added that funding is in second or third place. Onyemelukwe hinted that there has been a tendency that started since the early days of NEPA to copy technical standards and practices that do not suit a poor developing economy like Nigeria. According to him, the result is that with all the colossal sums put into power over the past 20 years, the power position in Nigeria has in some respects worsened. 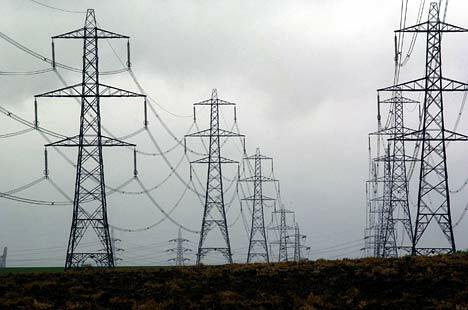 Onyemelukwe who chose the current 330kv structure for Nigeria’s electricity supply industry also planned the present 400KV of the United Kingdom. He said the basic technical deficiencies in the 330/132KV that developed after the inauguration of NEPA have never been diagnosed, stressing that they have continued to escalate as additions are made to it. He said that Nigeria’s power sector has hordes of technical deficiencies, which must be solved if the sector is to survive. Onyemelukwe said the pattern of the technical development of the sector had become increasingly expensive to meet the needs of a poor but growing economy. According to him, changes made in Nigeria’s 330/132 KV deviated substantially from the original models that were intended for a developing country with increasing cost patterns and system losses. He said the distribution system handed to private investors was in a very poor state having been neglected almost since the 1980s, adding also that the investors don’t have the resources and sometimes the expertise to have a good efficient distribution which is a vital part of a country’s efficient power system. He further stated that the deficiencies have made it increasingly difficult for Discos to recover their costs, even as the method of cost recovery/tariff does not reflect the cost pattern of the system. “There is, therefore, increasing pressure for tariff increase which is already high for a poor economy even as it is increasingly difficult for Discos to be financially viable which in turn makes it difficult for Discos to undertake the investment they need to attain the distribution standards of the good old days,” he added. Speaking on the issue of gas, he stated that the 2010 Power Roadmap forecast a gas shortage for power in 2014 unless certain things were done, adding that those things were not done and so gas shortage started in 2014. “The position has little to do with the present destruction of gas pipelines and systems in the Delta Region of Nigeria. There is need for technical leadership on the whole issue of gas for power (in Nigeria and in that context West Africa) so as to plan for a gas system needed in order to attain power output required to meet and overtake the present unmet power needs of the country and to have any chance of facilitating a hoped-for 24 hour power grid operation in Nigeria,” he explained.